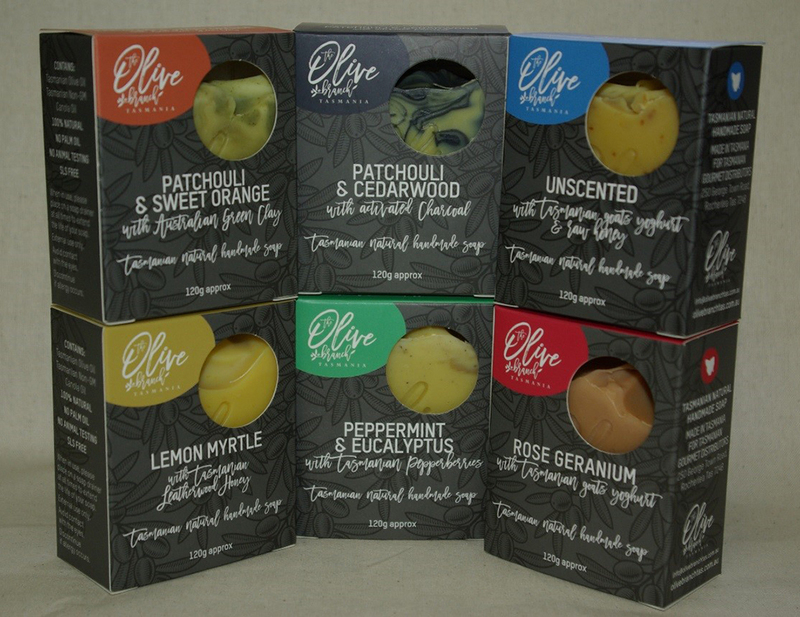 Welcome to Olive Branch Tasmania – Artisan makers of luxurious natural cold processed soaps that are especially designed purely for high nourishment and skin conditioning qualities. Each bar is synthetic and palm oil free. Tasmanian cold climate extra virgin olive oil, cold pressed non-GM canola oil from Cressy, Tasmanian spring water are combined with essential oils, natural colourants, selected raw Tasmanian honey varieties, goats yoghurt and Tasmanian wild pepperberries to create our purely nourishing, gentle range of natural soaps. We are located just outside beautiful Hobart, and together with years of experience our soaps are meticulously created and poured to our high standards. Every time. The Olive Branch Tasmania is 100% Tasmanian made and owned.